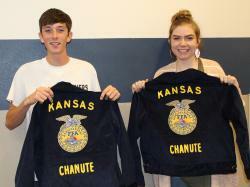 The agricultural teacher and FFA advisor straightens ties, smooths down collars and tucks jacket zippers out of sight as she helps candidates for FFA officers get ready for their interviews before a . . . The best part about being in the culinary arts classes at Chanute High School may be getting to eat all the practice meals. 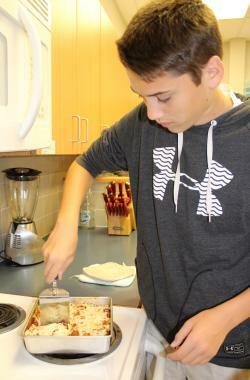 A new venture this year by students in culinary arts and the baking and . 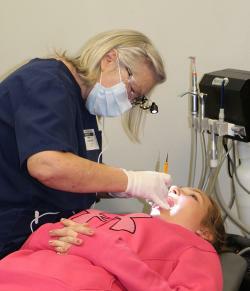 . .
Two dental hygienists from Community Health Center-SEK are providing preventative care to students from a classroom inside Chanute High School this week. They will be at CHS through Oct. 18, unless . . .